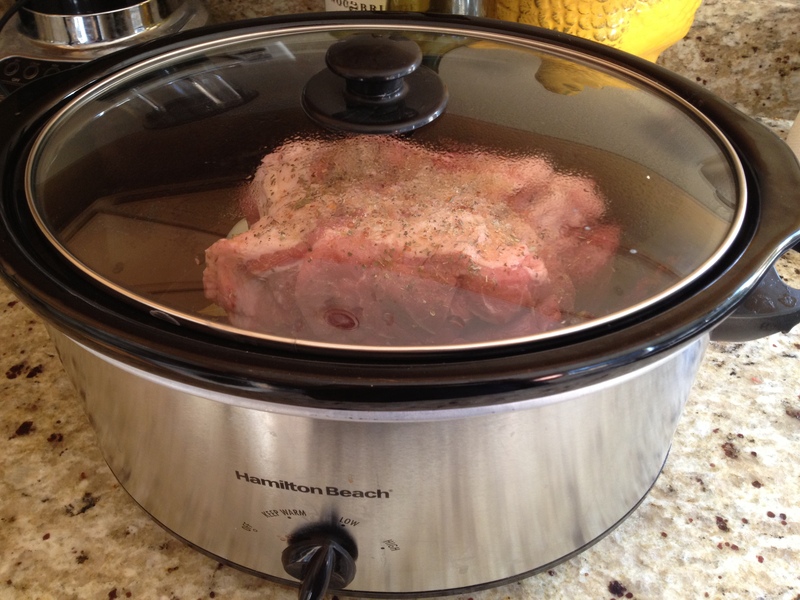 Can I tell you how much I love the crock pot/slow cooker? It’s an amazing invention. You just throw all of the ingredients in, set the heat to what you want and then leave for work. When you get home dinner is ready! That’s a whole lotta time saved from meal prepping and it can now be used to do other things. 1. Season the meat all over and put in crock pot. 2. If your veggies aren’t prepped then prep them now. Put them in crock pot with meat. 4. 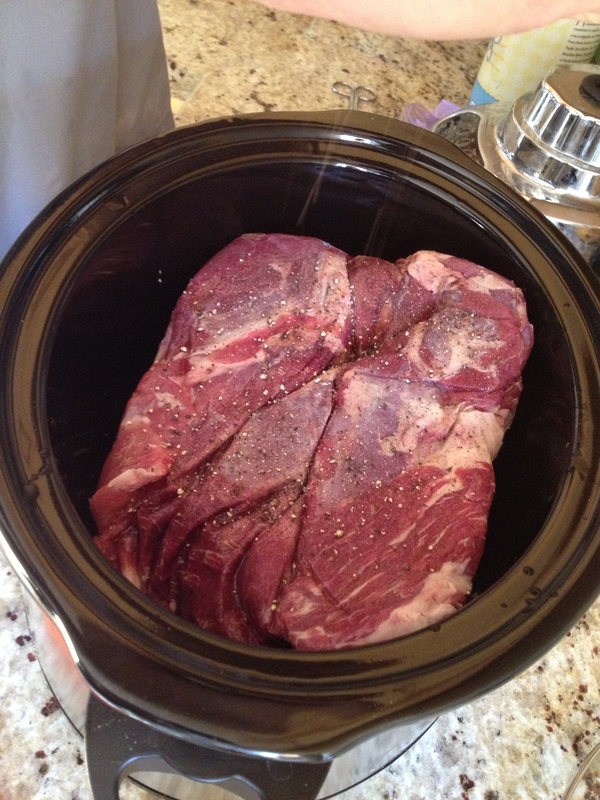 Put lid on crock pot and set it on low for 8-10 hours. Or high for 4-6 hours. 5. 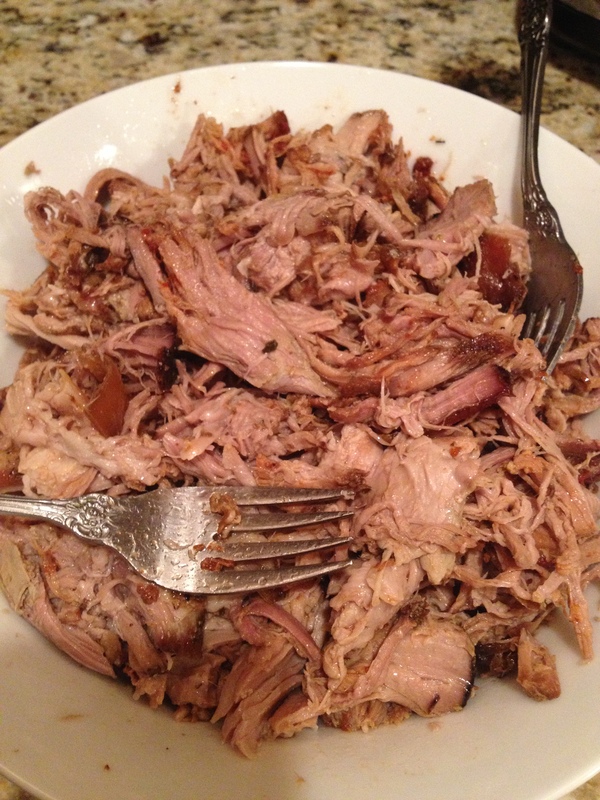 When the meat is cooked, take it out and put it in a bowl. 8. Wash and separate your lettuce leaves. 9. Set everything on the table. 10. 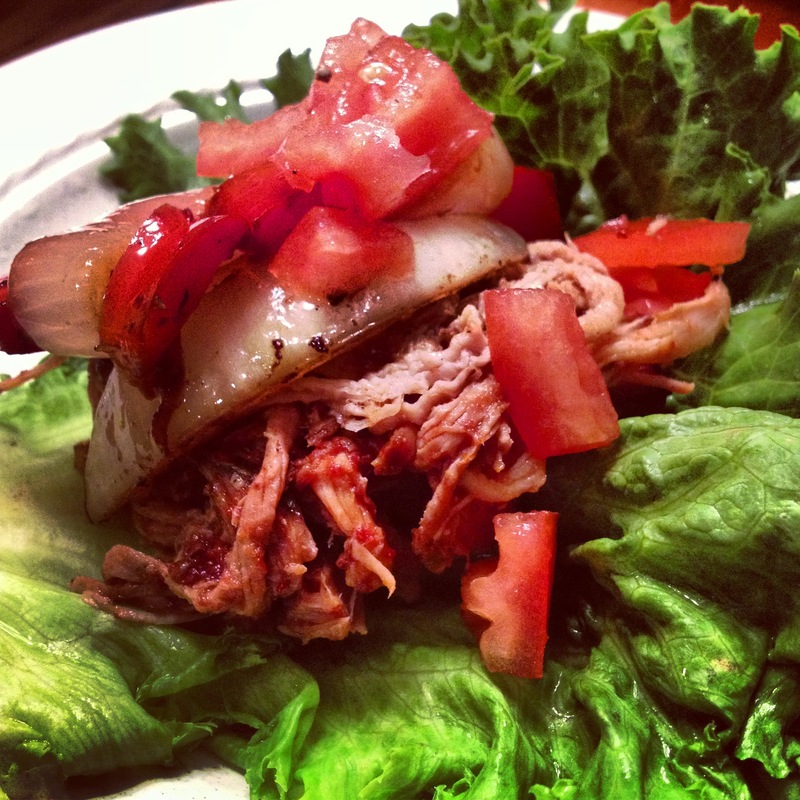 Make your lettuce wrap how you like it. Want more meat than veggies? GO FOR IT!! Go ahead and chow on down!! Note: They’re going to get kind of messy, so I would suggest napkins or paper towels. 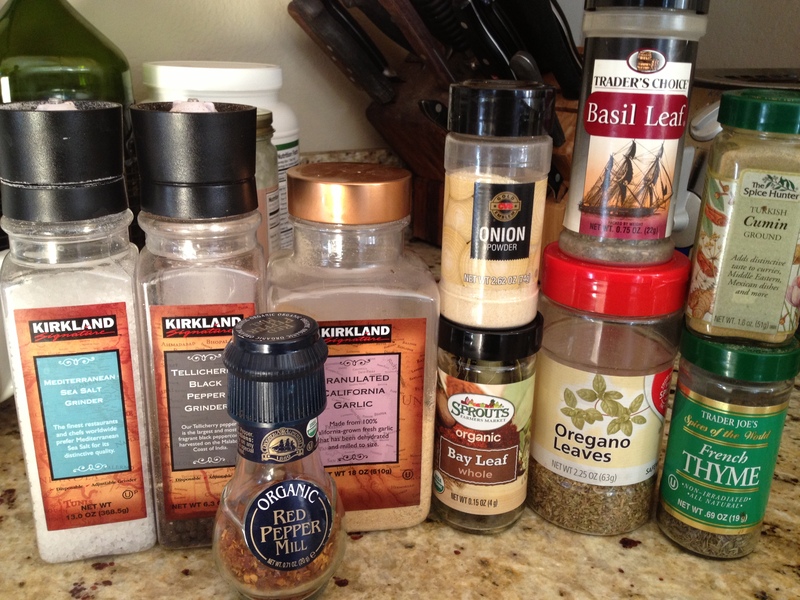 Again, you can use any seasoning that you like. Just have the Montreal Seasoning? Use that!! Don’t like or have wine? Then opt out of it! Well what about Tamari? 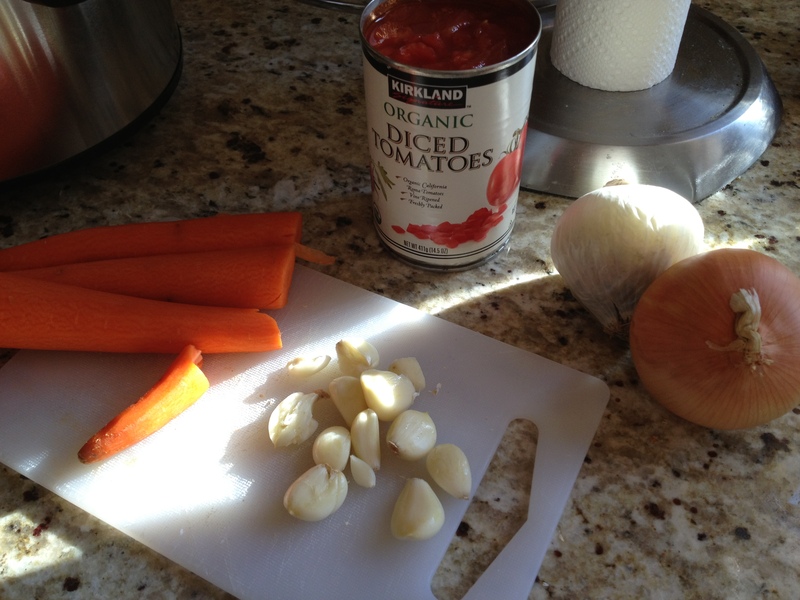 Use soy sauce or even worcestershire sauce instead. Those last two aren’t very Paleo friendly though. Use whatever you like if you know that you’re going to like it. Just make sure to taste it in the end to make sure it’s what you wanted. ENJOY! What is your take on game meat? I like it! I’m a big fan. I wish I had some hunter friends because I would totally hit them up to go hunting for me so I would always have game meat in my freezer. Since I don’t know any hunters I end up getting my game meat from this awesome store called Dittmer’s Gourmet Meats & Wurst-Haus in Los Altos. They have an amazing selection of deli meat, sausages, and much much more! I discovered this place while on a lunch break. I had some time to kill so I left the office to go on a walk. It was a beautiful California day and I had been sitting in my office for a little too long. While on my walk I came across this store and stepped inside. LOVE THIS PLACE! 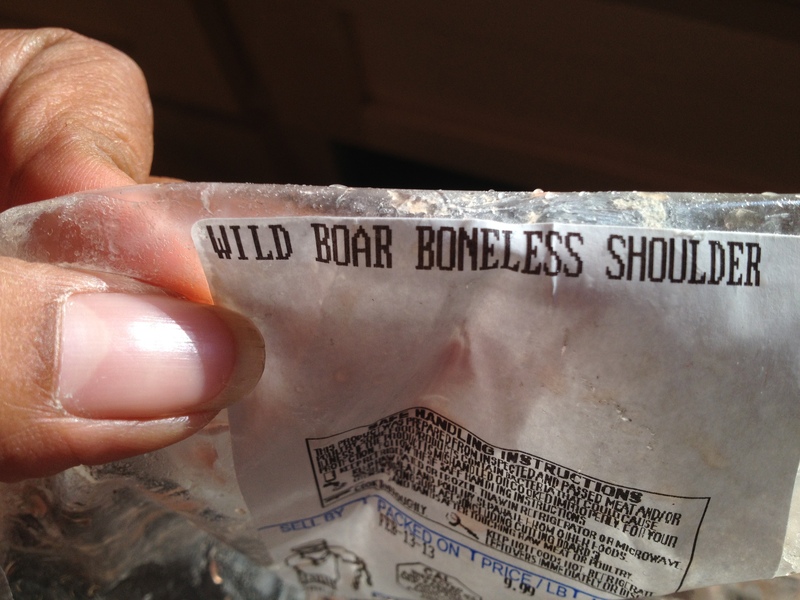 Last week I picked up a Wild Boar Boneless Shoulder. Tuesday morning PaleoJoe and I did a quick prep of ingredients before leaving for work. 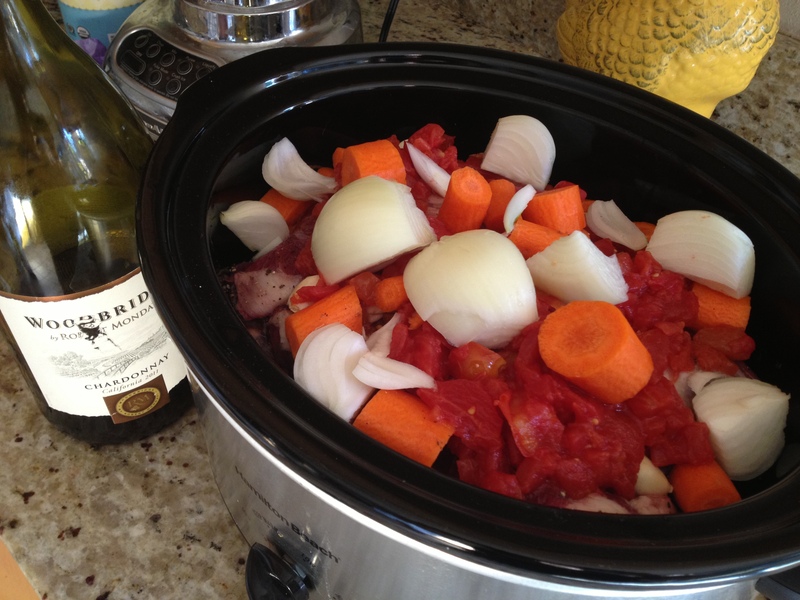 Below is the recipe for cooking Wild Boar in a crock pot. We served with with pureed celery root. See recipe HERE. 1. 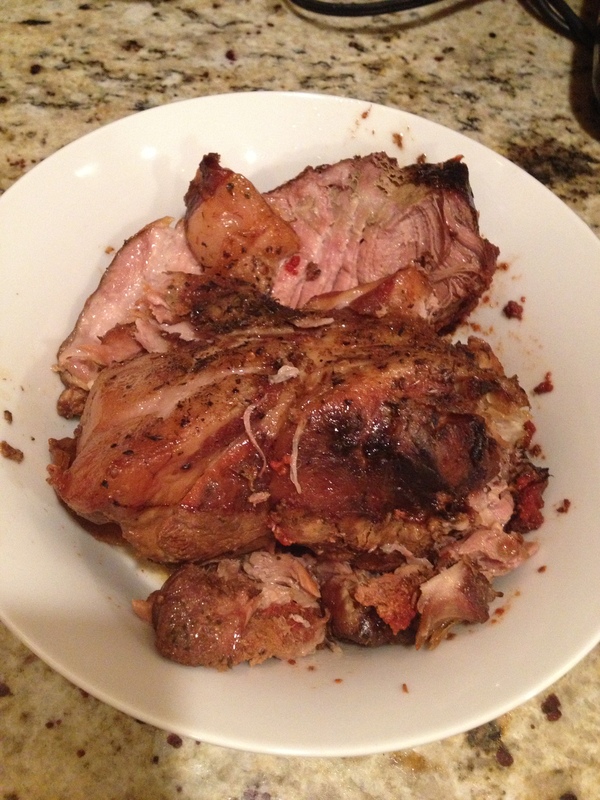 Make sure that your crock pot is big enough for the amount of meat that you have. 2. Season the meat on both sides. 3. If your aromatics (veggies) haven’t been prepped, prep them now. 4. Throw the veggies in the pot with the meat. 6. Cover and set temperature to LOW. Leave the cover on during the cooking process. You wouldn’t want to release the heat. You’re going to be cooking this for 6-8 hours. 7. Get a cutting board or a large plate to put your meat on for cutting/serving. 8. Using an immersion blender, you can blend the leftover veggies and juices. 9. Cut and serve! 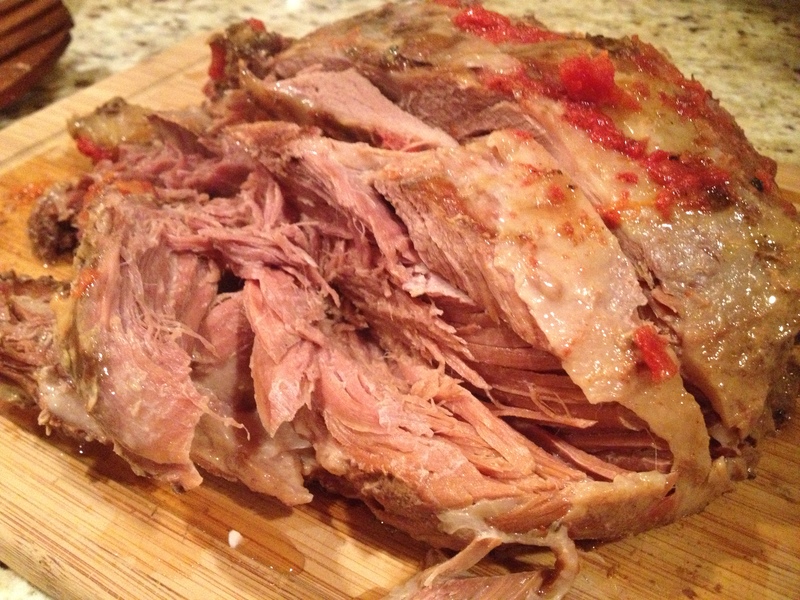 Pour as much or as little of the sauce on your meat and ENJOY!! 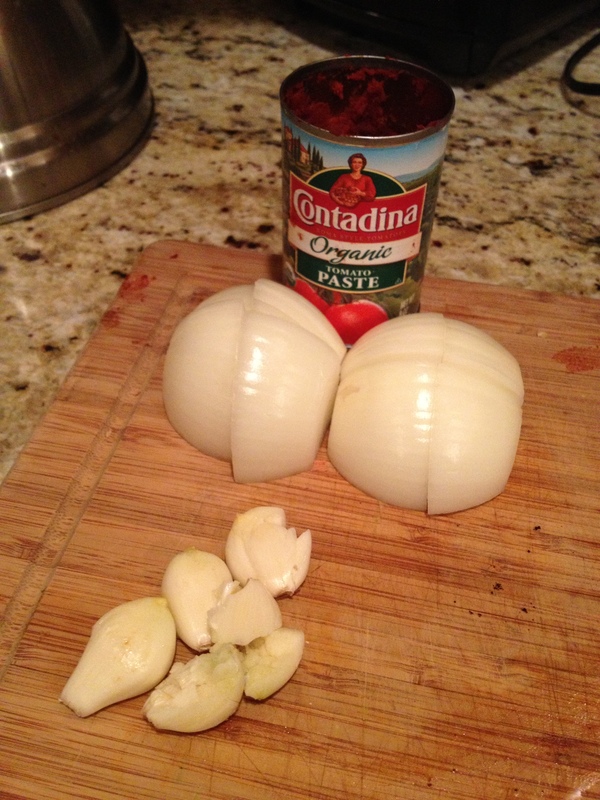 Note: You can easily make this a stew if your meat was chopped into stew sized pieces. This one was frozen solid and there wasn’t time to defrost it. 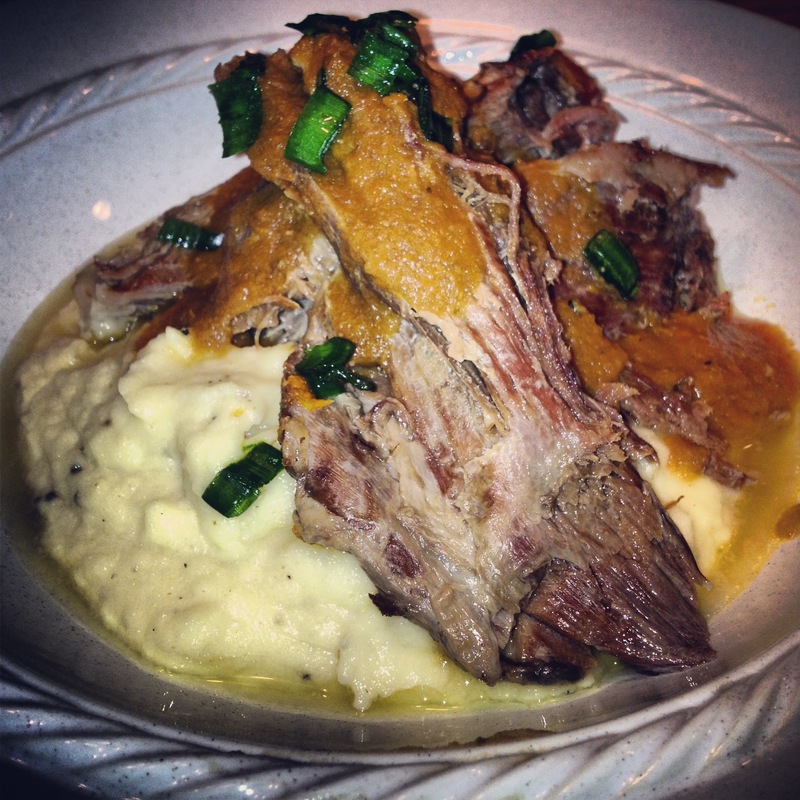 Again, we served the meat with a side of pureed celery root, which I will post the recipe for later. Also, if you don’t have a crock pot you can also cook this in a dutch oven or cast iron pot and place it in the oven at 325 degrees for 2-3 hours. That’s if your meat isn’t frozen solid like this one was. You can even put it in a roasting pan. Just make sure to turn the meat so that it cooks evenly. Shopping at the local oriental market, to me, is a lot of fun. There’s a large selection of meat and seafood to choose from, but it’s inexpensive. You most likely will not find grass-fed beef or free-range chicken, but at 89 cents a pound for chicken legs… Uh… yeah. SOLD! 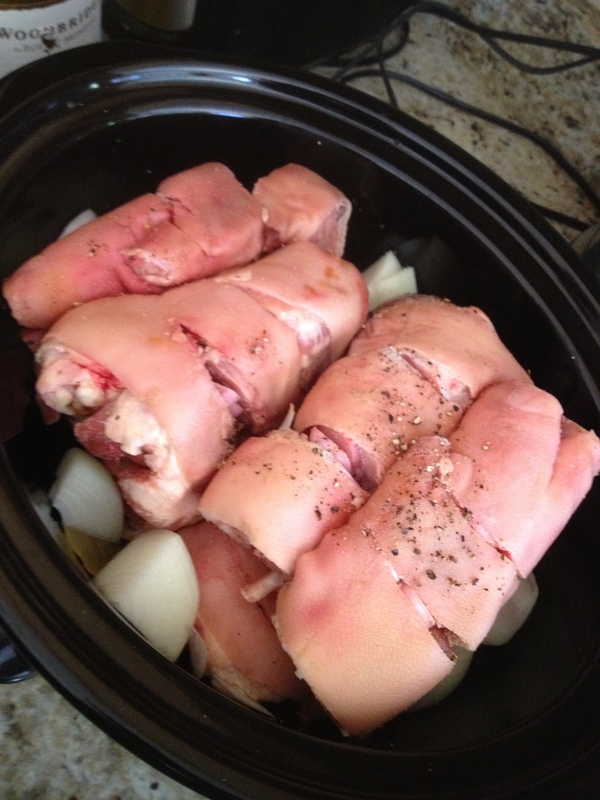 The other day I picked up two packages of pigs feet, or, as my friend Miiss Dee would call them: Trotters. I kinda like calling them “Trotters”. She says it’s a Southern thing. I couldn’t remember the last time that I had eaten them so I had to have them. 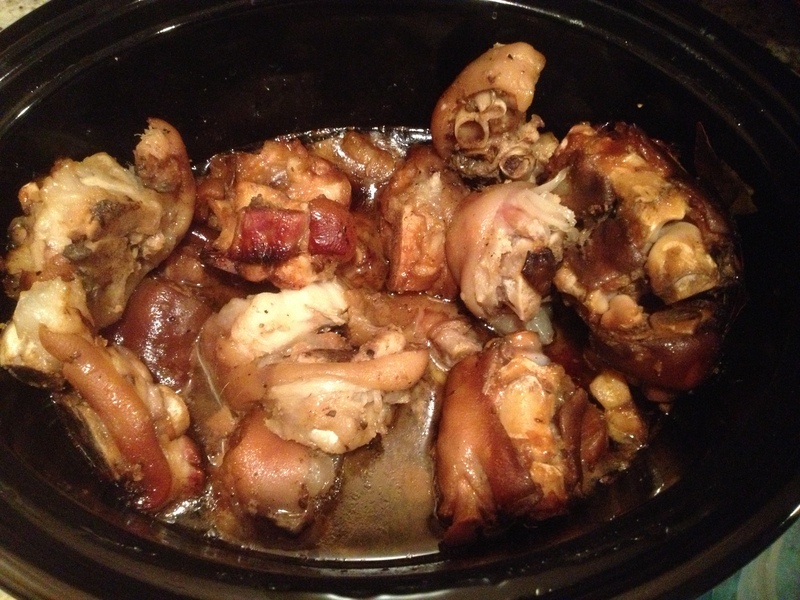 There are many different ways to cook and serve Trotters, but this particular recipe calls for a crock pot. PaleoJoe (My boyfriend) and I took a bunch of friends to the Los Gatos Creek Trail to go hiking. Before we left I had gotten the crock pot out and prepped dinner. I figured I would go back to my roots and serve up Adobo. 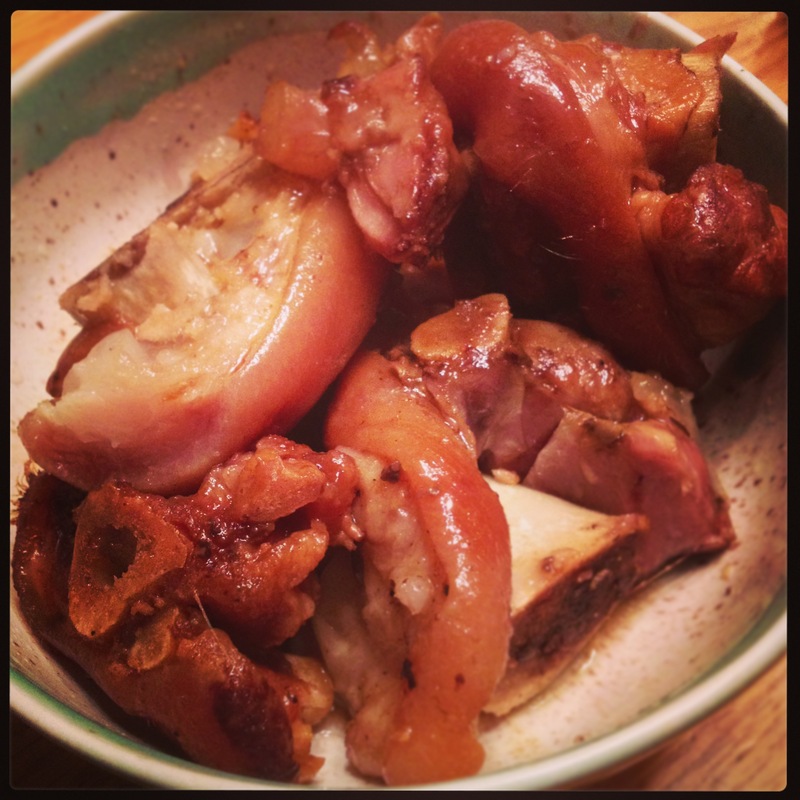 What I love about the Filipino Adobo recipe is that you can use any kind of meat. Though I have yet to use or see anyone use seafood. Not sure how that would taste. 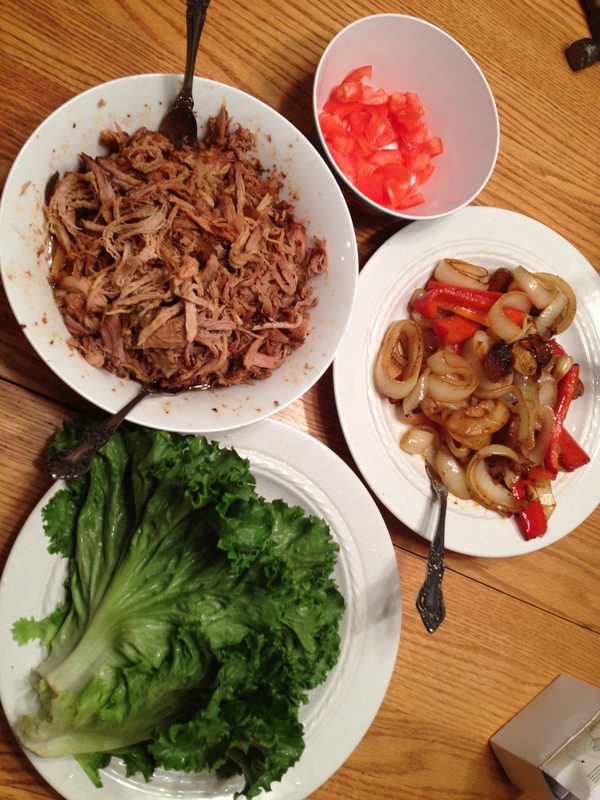 But anyhoo… chicken/pork/beef adobo is super YUM! Please note that I do not measure when I cook. All measurements listed below are guesstimates so please season your food to your liking. 1. Throw everything in the crock pot and turn it on high. 2. At about the 5 or 6 hour mark I took the meat out and cut it. Then I put it back in the crock pot, mixed it about so that the meat is covered in the sauce, and then I put the top back on and let it cook another 2-3 hours. 3. Your food will be cooked at 8-10 hours. The meat should be falling of the bones. 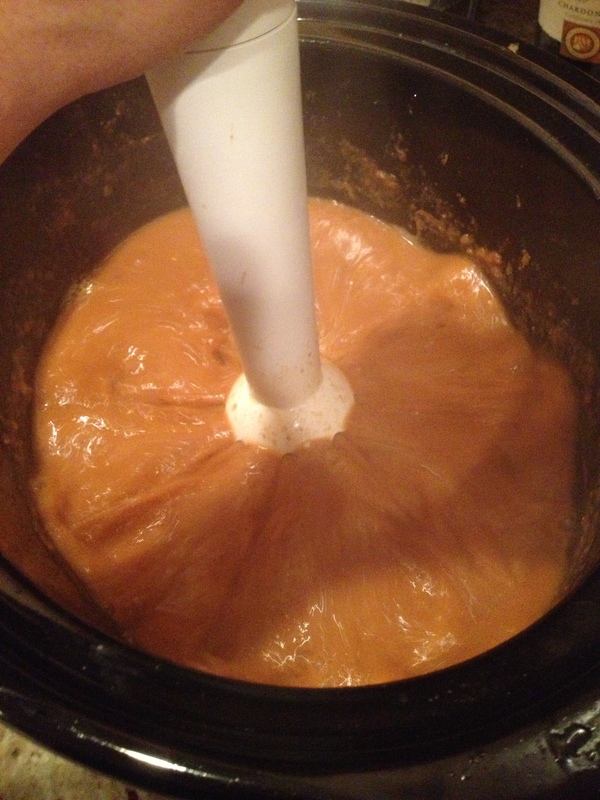 The kitchen should smell wondrous. At this point you want to turn your crock pot down to warm or shut it off completely. Serve it in bowls and ENJOY! !